Every now and then a news story catches our attention, and we want to discuss (and by discuss I mean, we want to know what you think). 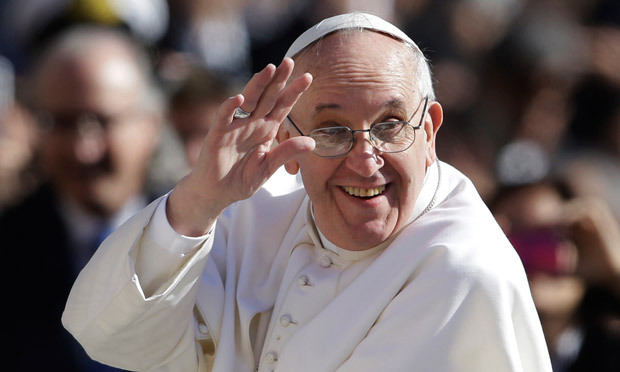 Earlier this year, Pope Francis called the Internet a gift—a gift from God to be exact. The question is, do we use the Internet for good? We use it in practical ways each and every day: directions, shopping, recipes, how-to-________ (you can fill in the blank there). And, chances are, we waste a lot of time online, proven by the fact that we all know “what the fox says.” Maybe the Internet is a gift from God? When it comes to the possibilities, the opportunity to reach and converse with those in which we’d have no access to, I agree with Francis. E-mail, chat, Skype—the list goes on and on—make conversation possible and can be used for so much good. In all honesty, I am not using the Internet to reach others with the intention of sharing my faith. I use it for my convenience. Truth be told, I’m wasting a lot of time. After all, I know what the fox says. So do tell, is the Internet a blessing or a curse for you? How do you engage online in a way that creates opportunities for you to share your faith? How does the Internet benefit your ministry? Amy Jacobs works with Threads as a marketing strategist and copywriter.